How to See Google+ in iPad. Like Facebook and Twitter, Google+ is also late in releasing apps for tablets. 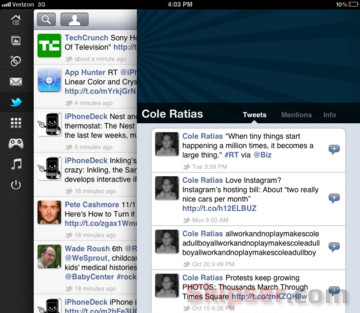 This has left a lot of tablet users disappointed, especially the more popular iPad users. Although the iPhone version works with iPad, it is not optimized for iPad screen resolution and hence lacks visual appeal and usability. 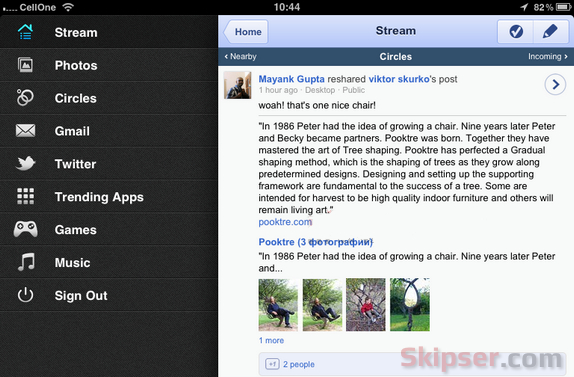 Here is an alternative app called G-Pad which brings Google+ on iPad. Games with Friends - Poker, Tiny Zoo, Tiny Chef, Mob Empire & more! Although the app looks pretty good, it doesn't actually use the Google+ API and is only a web version of Google+ bundled into an app. 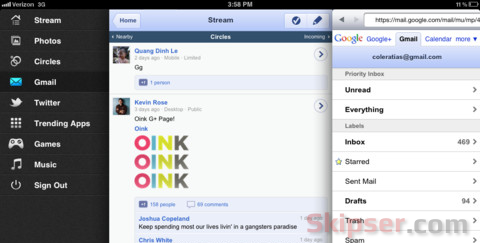 Nevertheless, it works very well and until Google+ officially releases an iPad app, G-Pad can definitely keep you happy. Tsunami Affected Japan on Google Street View. MIT Researchers Create Fastest Camera On Earth. Install and Use Google Currents Outside US. How to Share Album via Link in Google+. A better way to view Google+ on iPad.